To fulfill the requirements of our customers, we offer Stylish Eva Men's Slippers. These Stylish Eva Men's Slippers are stylish as well as fashionable due to which these are highly appreciated by clients. 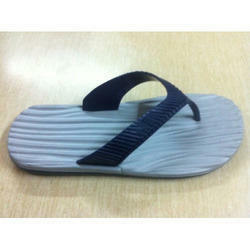 Also, we manufacture these Stylish Eva Men's Slippers by using finest quality material. Also, we keep the various demands of the clients in our mind while developing the range. Unbelievable price on Casual EVA Slipper in New Delhi (India) company SMART FEET.